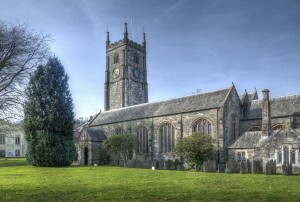 St Eustachius’ is the Parish Church of the town of Tavistock in Devon. Situated in the centre of the town which is on the western edge of Dartmoor, there has been a place of worship on this site for over 1400 years. The present church will celebrate its 700th Anniversary in 2018 and preparations for those celebrations are currently in progress. The church is an integral part of the community in this beautiful market town and visitors and newcomers will always be assured of a warm welcome. We aim to provide a range of services and activities so that everyone can find a home here. Services include traditional Evensong, Messy Church as well as daily Morning and Evening Prayer. Members of St Eustachius’ are involved in many groups and ventures. Please explore our website to find out more about them, or, better still, come and visit us in person.